Congressional districts and government legislative bodies should be approtioned substantially on population. 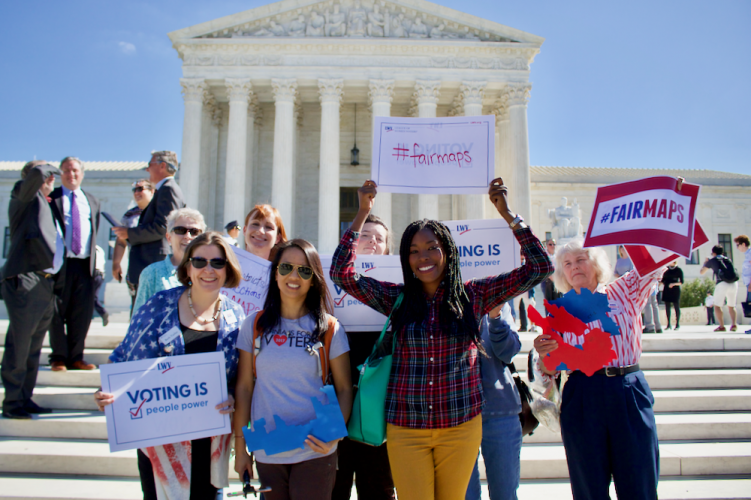 We oppose partisan and racial gerrymandering that strips rights away from voters. Scholarship project for Junior and Senior High School students enrolled in the public school systems of Chesapeake, Norfolk, Portsmouth, Suffolk, and Virginia Beach. Advocacy for legislative changes to promote fair redistricting criteria and minimize partisan and racial gerrymandering. © Copyright League of Women Voters of South Hampton Roads. All rights reserved.